Mr. Big sting began while 55-year-old was in jail in Ontario and continued after he was released. Al Potter helped bury a dead pig disguised as a man killed over unpaid debts, an undercover RCMP officer told a St. John's jury Monday. The architect of the undercover police operation that aimed to get a confession from Al Potter on a fatal stabbing in North River explained his role during a day of testimony at the first-degree murder trial. Known by the RCMP as a "major crime investigative technique" and to the public as a Mr. Big sting, the operation involved undercover police officers acting as if they were in the business of loan sharking and asset recovery. It culminated with Potter helping to bury what he believed was the dead body of a man who owed the business money. "The end goal was to have one of those undercover operators be placed in a position where Mr. Potter would feel comfortable acknowledging his involvement in the Dale Porter homicide," the RCMP sergeant testified Monday. His identity is protected by a publication ban but the RCMP officer told the court that he has worked as a cover person — the designer of undercover scenarios — about 20 times. He has gone undercover himself more than 100 times, he said. Beginning in May 2016, two undercover officers pretended to be friends with a member of the Vikings Motorcycle Club, who was also working with the RCMP as a police agent. He was tasked with connecting Potter with these two fictitious businessmen. "The agent was directed to relay a story that he had met new acquaintances — friends — business partners and he was given some work from those guys on the side, aside from his involvement with the Vikings Motorcycle Club," the RCMP officer told the court. By having the police agent bring the two undercover officers to Vikings meetings — also called "church meetings" — and gatherings at the Vikings bar on Boncloddy Street, it added credibility to their story in the event Potter called his friends back in St. John's. "[The officers] were to put a face to a story the police agent was directed to relay," he testified. "The story was that [the police agent and Vikings member] had new business partners and was doing some work for his business partners and was making great profit, and the objective was to show who the operators were." Without the police agent, the undercover officers frequented the Cotton Club and Fiddler's Pub where Vikings were known to be, and the RCMP officers could "be seen and continue talking about their cover story." The police agent was provided with large amounts of cash to make the business opportunity seem believable in front of the Vikings Club members, the RCMP told the jury. "Did you have any issues with [the police agent's] ability to follow directions of sobriety?" Crown prosecutor Sheldon Steeves asked. The cover person said he went to Ontario in May 2016 with the police agent while he visited Potter in jail in Lindsay, giving tasks and getting debriefings after each meeting. "To remain consistent with the cover story," the police agent visited a friend of Potter's in Ottawa, at Potter's request. The police officer said he would wait close by and get a rundown from the police agent about what transpired during the visit. After being released from jail on Sept. 25, 2016, one of the undercover officers was directed to tell Potter he needed his help locating two brothers who owed money. While en route to London, Ont., the officer, in the guise of a debt collector, received a call from a second officer "who said they had located one of the brothers and they needed the [undercover officer] to meet." Potter was told that one of the debt collectors "had killed [the brother] and his body was somewhere in a bag in a corn field." The officer was instructed to tell Potter he needed help disposing of the body in a cemetery, before going to a hotel where the RCMP had hoped Potter would divulge his involvement in Porter's death. The sting itself, the officer testified, was only used for serious offences "like homicide, missing persons, national security, terrorism." "The scenario was described as a high-impact scenario," the RCMP officer said. "It means we are exposing the target to a degree of violence or simulated violence similar to what's being investigated and it requires a certain approval. There's a chain of approval before it's deployed." The point of the scenario, he said, is to erase any suspicion Potter would have on the true motives of the so-called debt collectors and provide an environment comfortable enough for him to discuss the stabbing in North River. The undercover officers were ready to play out the scenario on Sept. 25, 2016, the day Potter was released from jail. Potter met the main undercover officer whom he had visits from in jail, in Minden, Ont. From there, the two set out in a vehicle to Belmont, to find two brothers who owed the fictitious company money. "While they were driving on the highway I was following them," the cover person told the jury. "When they stopped at the gas station, I was also stopped in the area." Eventually, the two came to a bar called the Barking Cat in Belmont — a spot carefully chosen by the cover officer. "I had spent, I think, two days scouting a location that I liked," the RCMP officer told the court. "It was far enough for the drive to London for maybe conversation, it was remote in a sense that there would be less likelihood of someone interrupting the scenario. It was easy for me to hear if there were noises or any members in awkward safety positions." While inside the bar, the undercover officer got a well-planned call from the cover officer. The undercover officer told Potter that one of his workers had killed one of the brothers and that he needed his help to bury the body. A second undercover officer arrived at the Barking Cat in a white van, the jury heard, and followed as Potter and the first officer drove to a corn field where the body of a dead pig was hidden in a hockey bag. They then drove to a cemetery in London, and were met by yet another undercover RCMP officer "pretending to be a cemetery worker, and he would help dispose of the deceased body by throwing it in a fresh grave." The RCMP put a dead pig in the bag and "made to look as real as possible to a human body," defence lawyer Jon Noonan said. "Would you agree that the whole scenario of this body in a hockey bag on a remote corn field was a fairly intense high-impact scenario?" "Yes," the officer said, later adding that it's not the most severe scenario he's be a part of in his career. Noonan picked away at the undercover operation, dubbed Mr. Big, pointing out that the scenario didn't give his client much opportunity to do anything but go along with the undercover officers. "Because at this point, of course, Mr. Potter is with someone who has indicated to him that he's responsible for an organization who just murdered somebody, who had requested Mr. Potter's assistance in disposing of the murdered body," Noonan said. "You put great pressure on the suspect. Do you agree?" Noonan pointed out that the police agent had told Potter that the work he'd be doing was "peaceful" and "legal." "I believe the rationale was more to make it so that Mr Potter would agree as opposed to ... yeah, there was a higher likelihood of Mr. Potter saying 'I don't want to get involved with this' right off the bat." The officer said the scenario involved telling Potter that, "As long as you're a suspect in this offence [Porter's homicide] you are no longer working for us." "It's not, 'Tell me everything about how criminal you are.' It's, 'you have police attention I can help you get rid of it, if I know the details,'" the RCMP officer explained. The next day, the officer said, the main undercover cop met Potter outside a hotel where he had been staying in London, Ont. With police officers stationed in different areas of the parking lot, they watched the 45-minute conversation, which began with a handshake. The officer was wearing two listening devices, the RCMP officer told the court, though, "I was told afterward that both of them failed." Based on that conversation — the details of which have not yet been told to the jury — the RCMP believed they had enough to make an arrest. Potter was taken into custody after being asked by his "boss" to exit the hotel and meet him in the parking lot. Follow along with live court coverage below. Can't see the tweets below? Click here. 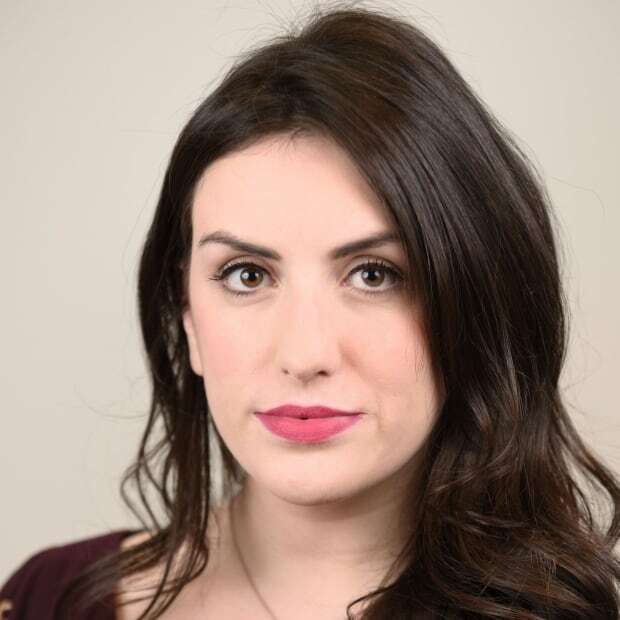 Ariana Kelland is a reporter with the CBC Newfoundland and Labrador bureau in St. John's.